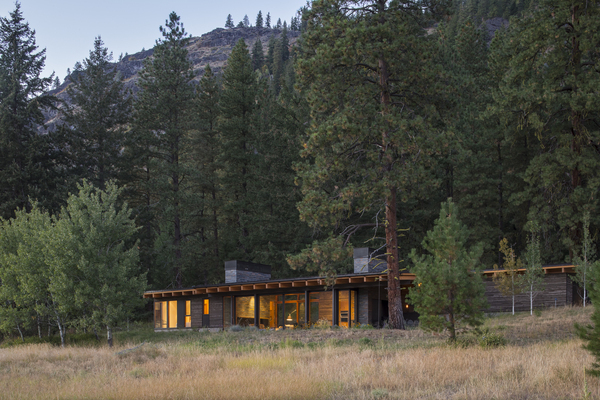 Located in Washington's Methow Valley, Big Pine retreat is nestled into a sloping site that is reigned over by a large six foot diameter ponderosa pine tree. 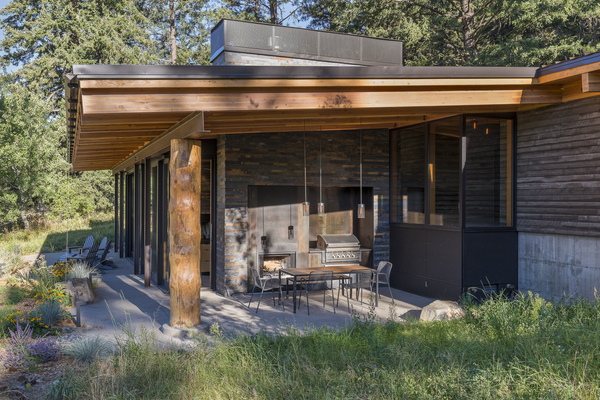 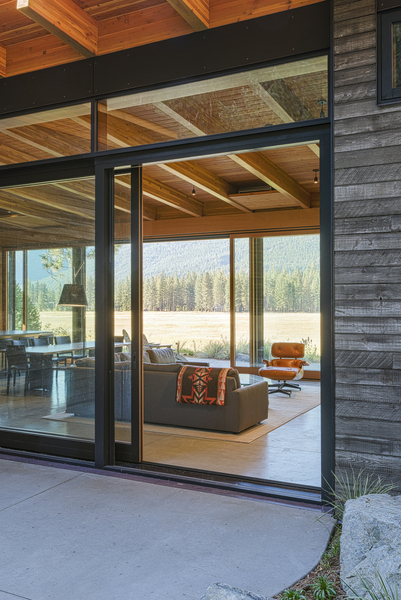 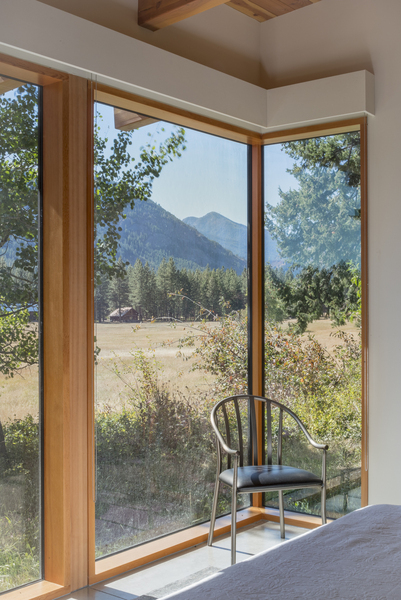 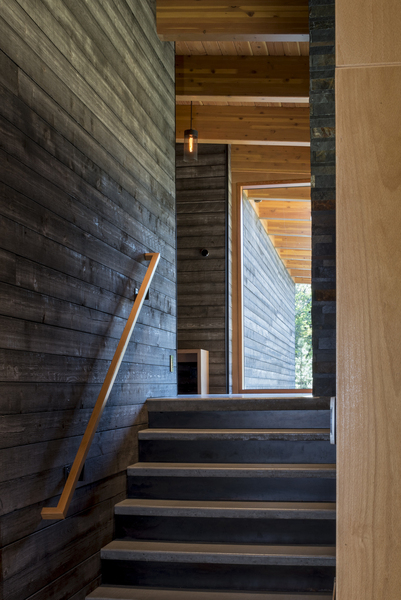 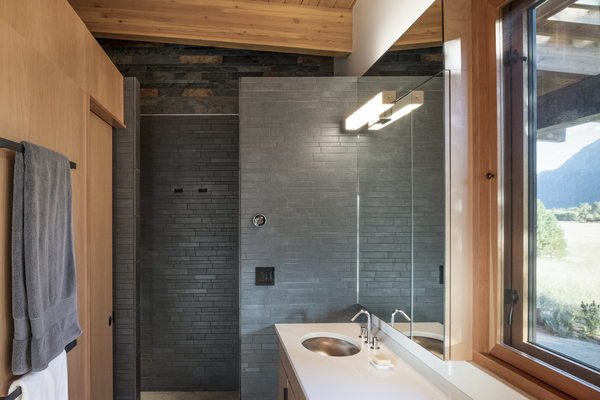 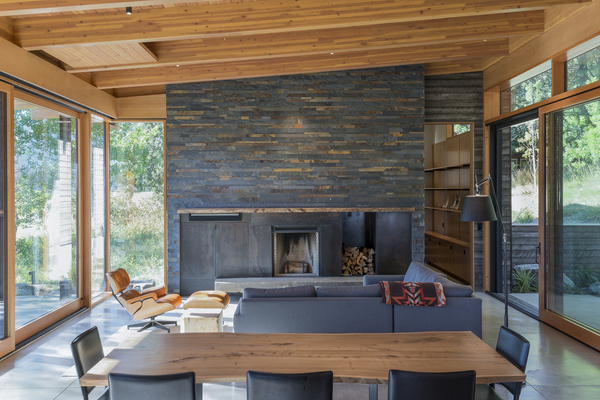 The 2,500 square foot house is set at the edge of the meadow, taking advantage of the sweeping views of the Valley and North Cascades mountain range beyond. 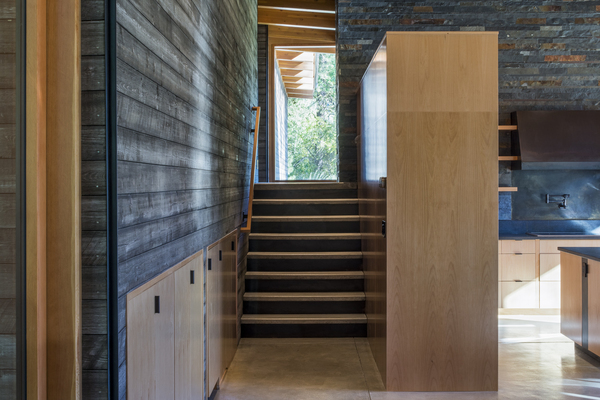 It steps down the sloping hillside where the main living area looks onto the meadow on one side and back into the trees on the other. 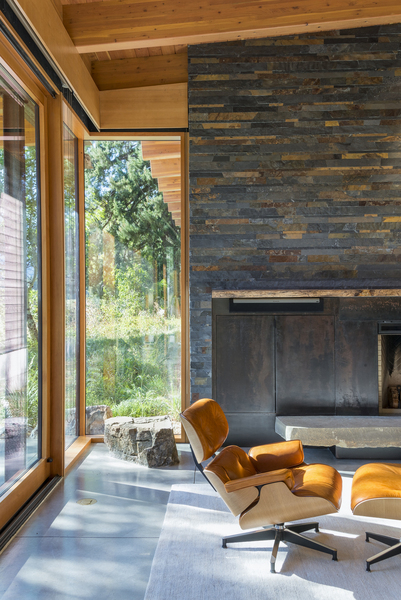 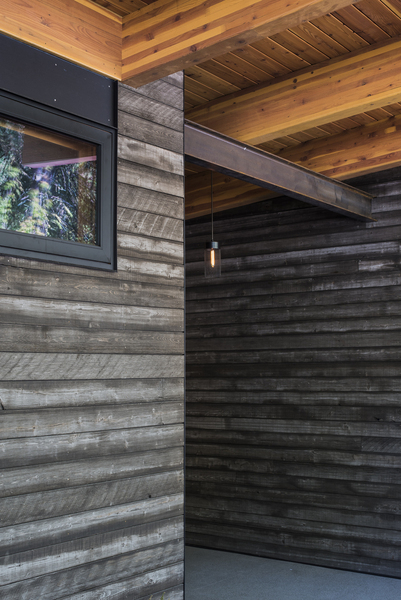 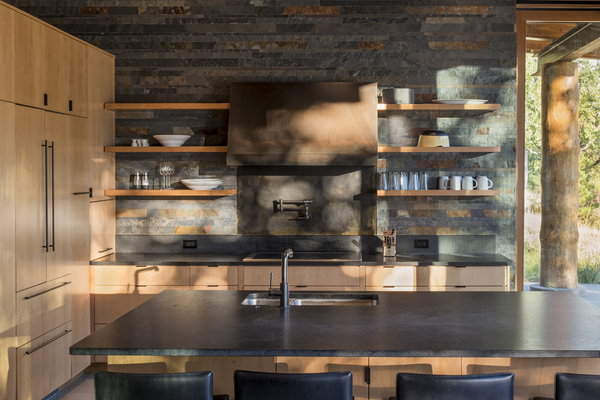 Reclaimed siding, a shed roof, and two large stone chimneys tie the house to the site.